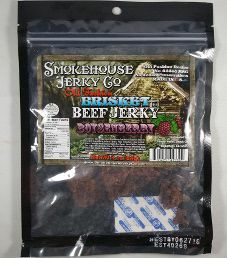 The next review on Smokehouse Jerky Co. will focus on a 3 ounce/84 gram bag of their boysenberry flavored beef brisket jerky. 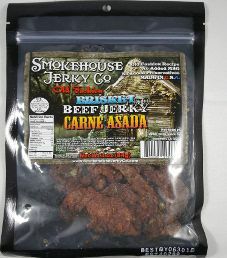 This jerky was kindly submitted for review by one of the owners, Franco Fonseca. 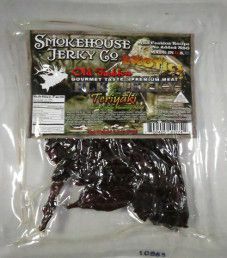 The next review on Smokehouse Jerky Co. will focus on a 3.2 ounce/91 gram bag of their teriyaki elk jerky flavor. 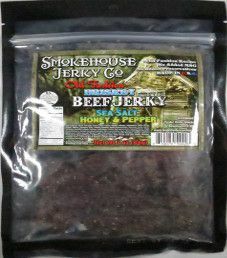 This jerky was kindly submitted for review by the owner, Trent Levinson. 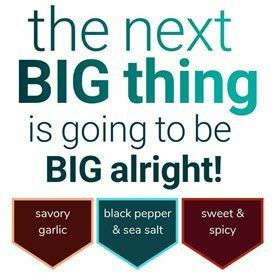 Note: For a more current taste review on a tweaked ingredient list, open up Smokehouse Jerky Co. – Sea Salt Honey & Pepper Beef Brisket Jerky (Recipe #2). 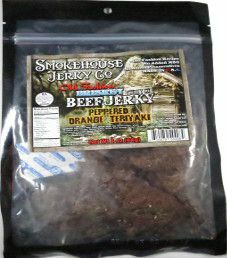 The next review on Smokehouse Jerky Co. will focus on a 3 ounce/84 gram bag of their peppered orange teriyaki flavored beef jerky. This jerky was kindly submitted for review by the owner, Trent Levinson, from Tender Heifer Snack Co.